Rapid Marin AB is a Swedish company that develops practical products that make it easier for consumers. Our main product is the complete boat cover frame, EasyTec, for motor boats and sailboats. 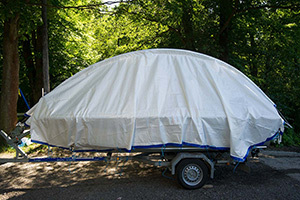 Because of its low price and ease of use, EasyTec has quickly become one of the best-selling boat cover frames in Sweden. The lightweight EasyTec boat cover frame can be fitted quickly and is priced significantly lower than traditional boat cover frames. It is supplied in two large bags, where everything needed for a complete set-up is included. 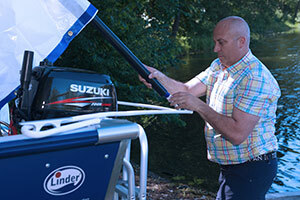 It is available in five different sizes, fits all motor boats and sailboats from 4-9 m.